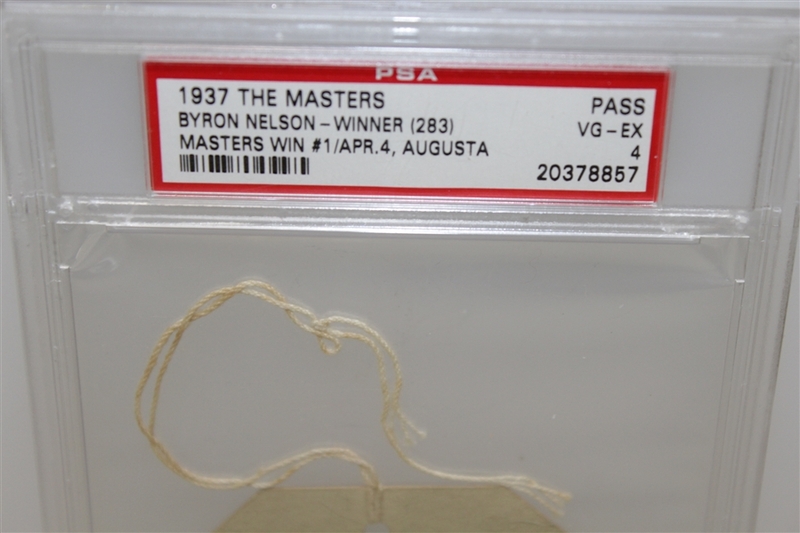 Being only the 4th Masters Tournament contested, as well as the first major victory of Byron Nelson's illustrious career, the rarity of such an item needs no further introduction. 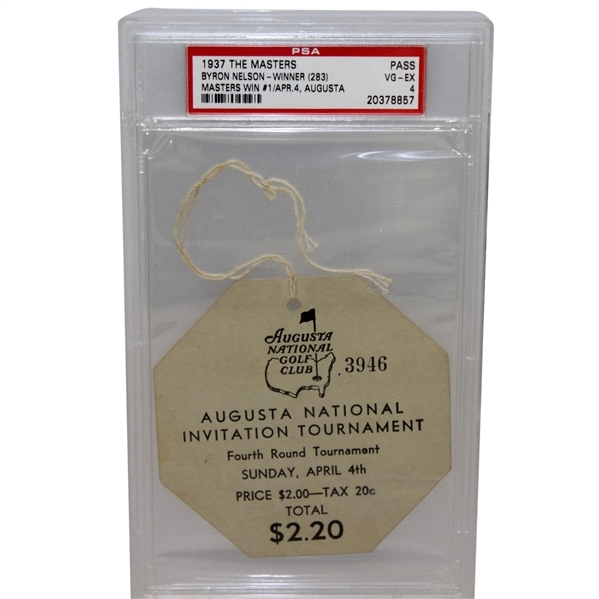 The competition was still officially called the Augusta National Invitation Tournament. 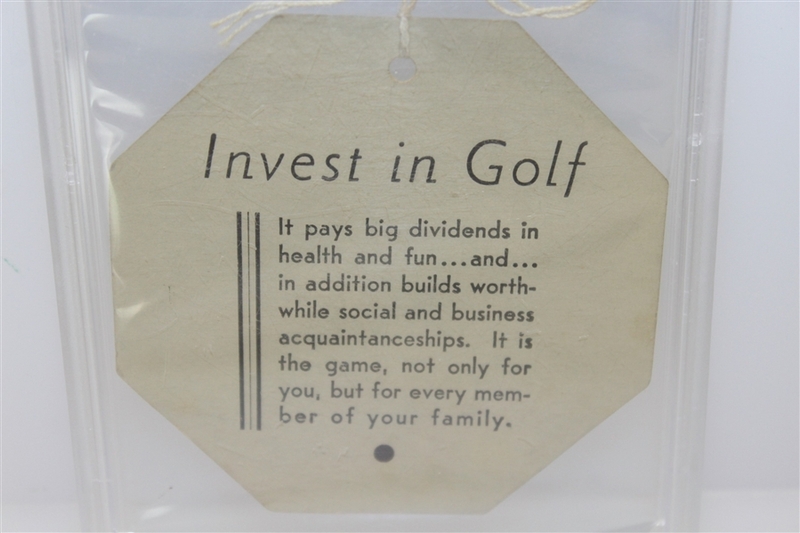 On Sunday, Nelson made up an astounding 6 strokes on Ralph Gudahl over the course of 2 holes (going birdie-eagle on 12-13) en route to his first of six major victories. The Nelson Bridge was dedicated in 1958 at the No. 13 tee as a permanent reminder of Nelson's first Masters victory. 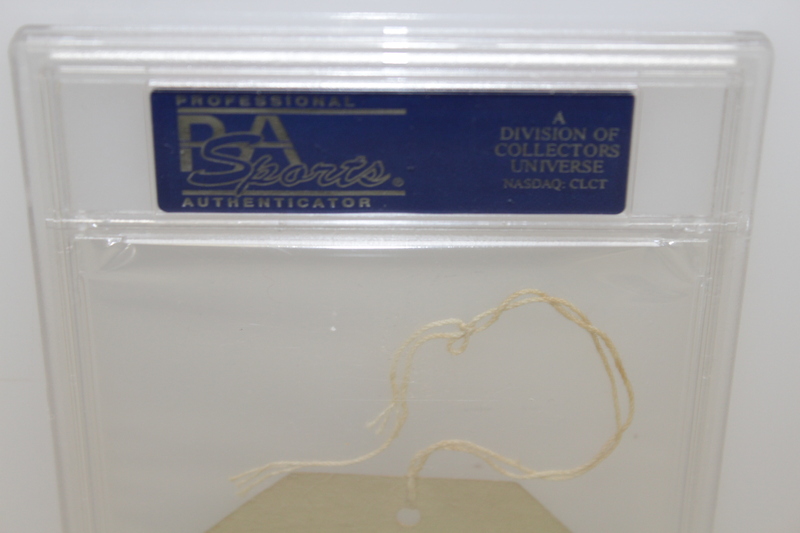 The 1937 ticket is one of the most difficult to obtain from the early years of the event. The event was poorly attended with patrons losing interest in the Masters following the excitement surrounding Bobby Jones' return to competitive golf in 1934. 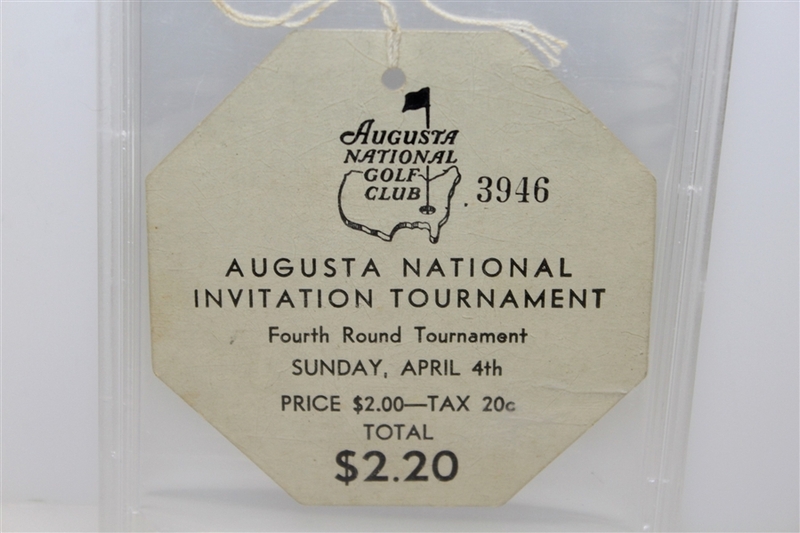 The 1937 ticket has a unique octagon edge on the daily tickets which is often condition sensitive, but is retained intact on this example. 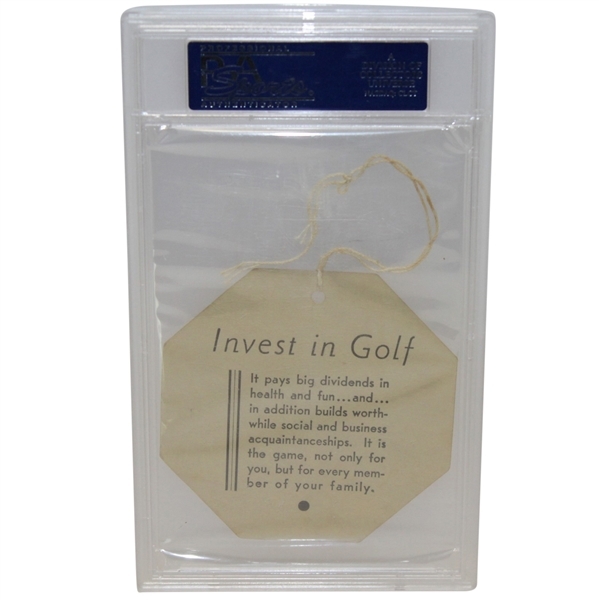 This tangible memento of the fourth Masters comes from Saturday April 3rd of the tournament. Further adding to the appeal of this example is that respected publicly traded authentication company PSA has reviewed this ticket for clarity & authenticity and has slabbed it with #20378857 and a grade VG-EX in their data base.